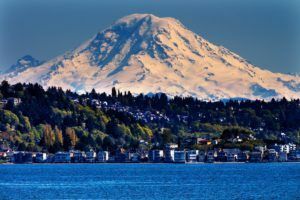 Washington state’s recreational cannabis cultivators are using less than half their allotted licensed canopy, according to a report conducted by the state’s Liquor and Cannabis Board (LCB), which could open the door for the state to step down their licenses to a lower tier. “Licensees were generally concerned that the (LCB) may decrease their canopy due to under use,” the report notes. Current rules state that licensees must produce 50% of their licensed canopy or the LCB may reduce the licensed tier. The survey found that many businesses wouldn’t reach the 50% mark. Indoor and outdoor Tier 3 producers represent roughly 70% of allotted canopy in the state. These producers were utilizing on average 38% of their licensed space, the report shows. Tier 2 producers accounted for 28% of canopy and appeared to be using 42% of their licensed space. Tier 1 producers constituted 3% of total canopy and occupied 41% of their licensed space. It’s expensive to develop canopy space. Market prices for cannabis have been consistently declining. Access to capital investment is problematic.